The new multi-user path on the south-east side of Rt. 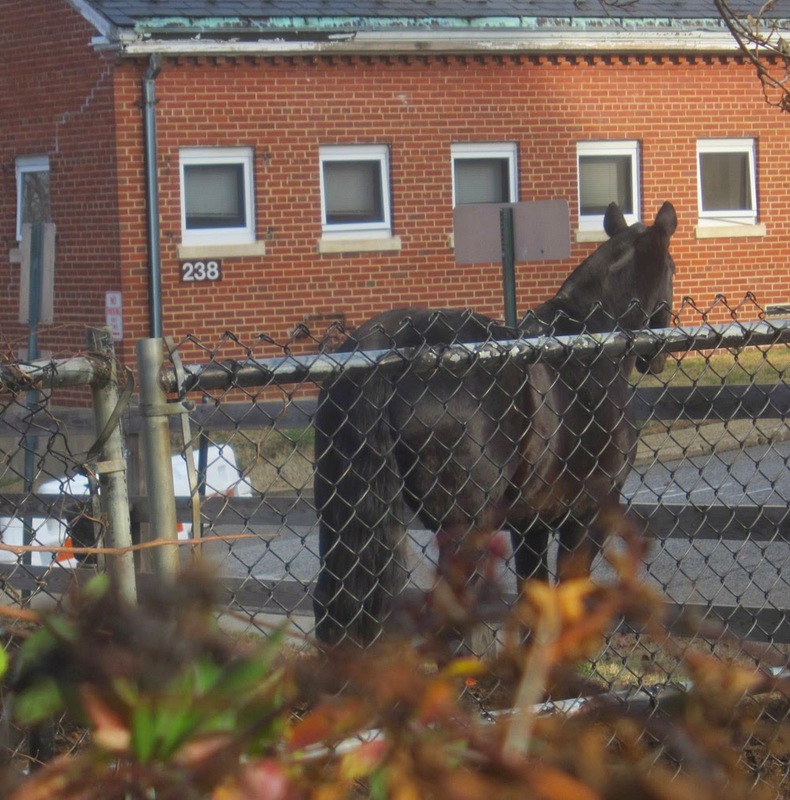 50 offers a view of the Rosslyn war horses stationed at Joint Base Myer-Henderson Hall. You have to peer through the brambles alongside of the fence to see the Rosslyn war horses. But be careful. If one of these horses gets angry, it could easily smash down the fence and trample you to death. Rosslyn's famed Buffalo soldiers rode horses like these. So too did Civil War cavalry. Some say that these horses are direct descendants of the horses of the legendary Knights of the Rosslyn Round Table. The Ode Street Tribune has not been able to verify those claims.